As a freelance editor and proofreader, the misplaced or dangling modifier is a common writing error I see. That sentence should have made you cringe, or at least confused. 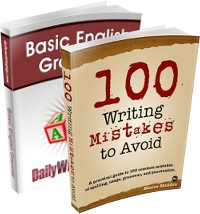 It introduces an all-too-frequent grammatical problem found in writing: misplaced and dangling modifiers. First, what’s a modifier? A modifier is a word, phrase, or clause that “modifies” (says something about, describes, clarifies, qualifies, limits) another word, phrase, or clause. Modifiers are either adjectival (modifying nouns or pronouns) or adverbial (modifying verbs, adjectives, or other adverbs). The challenge with modifiers lies in knowing where to place them. A misplaced modifier can create confusion and drastically alter the meaning of a sentence because it appears to modify the wrong thing. Many single-word modifiers are often misplaced; these include only, almost, just, even, merely, hardly, and nearly, for example. One trick to help you avoid misplacing these types of modifiers is to place the modifier next to (or near) the word/words it modifies. 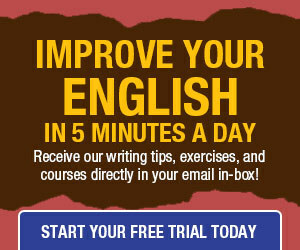 For the above sentence, if you want only to modify $20, then use the third example. Phrases and clauses are also regularly misplaced in writing. During our friends’ baby shower, my husband asked me if we might consider having another baby. I found a new scratching post, which was on clearance at the pet store, for my cat. A pet peeve of mine, the dangling modifier is usually a phrase or an elliptical clause (a dependent clause in which some words have intentionally been left out), often at the beginning of a sentence, that either doesn’t modify anything specific in the sentence or modifies the wrong word or part of the sentence. Of course, you can probably figure out what I was trying to communicate, but the dangling modifier is distracting and creates ambiguity; it illogically implies that the modifier is actually a freelance editor and proofreader! So how can I fix the sentence? As a freelance editor and proofreader, I notice that many writers struggle with misplaced and dangling modifiers. Now, the introductory phrase (As a freelance editor and proofreader) correctly and logically modifies the pronoun I. Remember the trick to place the modifier as close as possible to whatever it needs to modify, and you’ll avoid the majority of errors associated with modifier placement. Nice and to the point. Too many times, people write like they talk without realizing that speech works a little differently. There are stresses, inflections, pauses, tone and even physical cues to what was meant. Outstanding. Very clear, very helpful. Thanks! Your lead-off example is a great attention getter, and I laughed out loud at your other examples. Great post! Dangling modifiers: Our advice has always been to match the stated or implied subject of the introductory phrase or clause with the subject of the sentence. The subject of the sentence above is “corpse,” but the subject of “swimming happily” is someone else, resulting in the interpretation that the corpse is swimming happily. Susie was ready for the party wearing a pink dress. Wearing a pink dress, Susie was ready for the party.